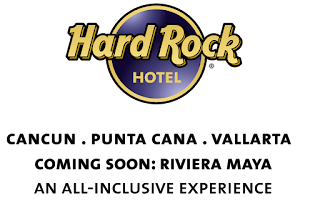 This blog was written by Jaime Garcia, IT Corporate Director of the All Inclusive Collection with over 5,000 employees at Hard Rock hotels in the Mayan Riviera, Cancún, Puerto Vallarta, and Punta Cana. "As the IT Corporate Director of the All Inclusive Collection (which runs all of the Hard Rock Hotels in Mexico and the Dominican Republic), I’m responsible for providing tools to our employees that will let them to work together effectively and focus on our customers. On our old system, Microsoft® Exchange, we had a large datacenter for the hotels to maintain. Our communication tools weren’t flexible enough to make decisions on the go and we couldn’t guarantee that we were running the same promotions at the same time. We worried about the effect on our guests’ experience. I decided that we needed to move to Google Apps and get off of our on-premise infrastructure. Google Apps was fast, safe, and agile and met all of the security standards I was looking for, so I knew that all of our customers’ information would be protected, too! "Since moving to Google Apps, we've improved internal communication and are now spending half as much time on things as we were previously. With Google Talk and Google+ Hangouts, we rarely use the phone anymore, it’s easier to jump on a Hangout from any device and from any of our locations. "We've saved thousands of dollars in IT infrastructure and telecommunication costs, and my IT headaches are gone. I used to have a team of guys helping me manage servers and keep our email up and running. Now, only two of us manage all of the tools. "Google Sites and Google Calendar have been fundamental in organizing our promotions and standardizing our guest experience by allowing us to share across hotel locations. We just had a promotion across all our branches for Christmas and the holidays. We made a site with all of the dates, rates, and details of the deal and we could easily monitor how it was rolled out across each hotel. This process used to take weeks, and fixing discrepancies between the locations was messy. Now, it’s simple, consistent, and happens in real time. "On Google Apps, we really feel like a team, working together despite being countries apart. We are able to provide the same level of rockstar service in all of our hotels and create great experiences for our guests. All while improving our customer experience – rock on!"